NEW YORK (Reuters) -- Toyota Motor Corp. may be ready to ratchet up its 2012 sales outlook for the U.S. auto market after two months of stronger-than-expected volume, a top executive at the Japanese automaker said on Tuesday. Toyota is still forecasting U.S. industry sales of 13.6 million this year, but strong January and February demand is causing officials to rethink that prediction, Yoshi Inaba, president and chief operating officer in charge of Toyota's North American operations, said after a speech in New York. "That may be looking a little bit more conservative," he told Reuters after speaking on a panel about recovery from last year's earthquake and tsunami that damaged the company and others in Japan's auto industry. Most automakers have resisted increasing their full-year sales estimates for the industry, wanting to see if the strong demand will continue. U.S. auto sales rose nearly 16 percent in February and the annual sales rate leapt to its best level in four years, topping expectations for the second straight month. January sales rose more than 11 percent, or more than twice the rate analysts had expected. Inaba said the industry is on a "steady recovery path" due to pent-up demand, with the age of vehicles on the road averaging almost 11 years. He credited the strong start to the year to milder winter conditions and lower interest rates. 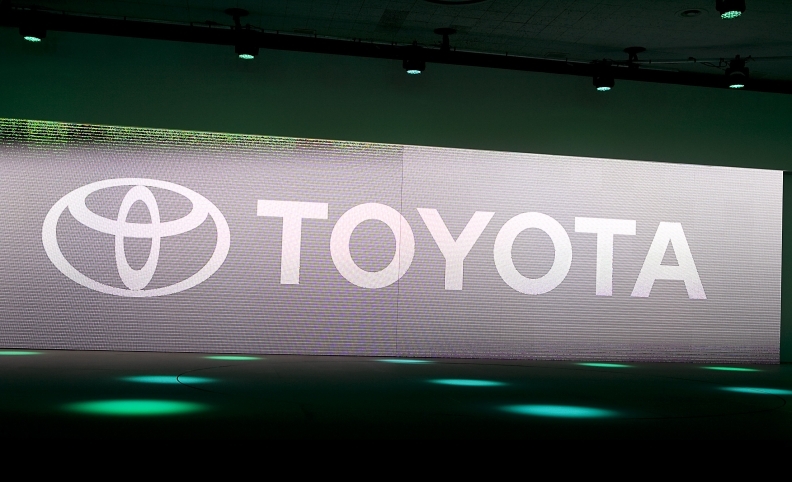 Toyota is still targeting company sales in the U.S. market this year of 1.9 million vehicles, he added. The U.S. annual sales rate, a closely watched industry yardstick, jumped to 15.1 million vehicles in February, the best monthly showing since February 2008, before the financial crisis that sent Detroit into a tailspin. Analysts had expected an annual pace of 14 million vehicles, with the high estimate at 14.4 million. The auto industry is now in its third year of a fitful recovery from a severe slump that led to the bankruptcies of General Motors and Chrysler in 2009. The U.S. industry was selling nearly 17 million vehicles a year on average in the 10-year period ending in 2007. Last year, the industry sold 12.8 million vehicles. Meanwhile, Inaba said the economic pressure on automakers globally only continues to grow. He said there will be more deals like the alliance signed last week between GM and Peugeot in an effort to cut costs, in which GM will take a 7 percent stake in the French automaker. "The global market is pushing automakers to do a much better job and therefore pushing to align or cooperate or work together as a common goal," Inaba said. "I don't think this GM/Peugeot thing is the end of it." Deals could take many forms, whether acquisitions or alliances, he said.